It’s amazing to think that when the first computer was invented, it was built to be used in workplaces in order to provide efficiency and effectiveness but over the past decade, constantly developing technology has made it possible to own and use the computer for almost every aspect of our daily lives. With the invention of the laptop computer, now the only sky is the limit because there is practically nothing that these compact powerful machines can’t perform. What’s more interesting is that we can play high definition games on these laptops too. Although any laptop can run good quality games but when it comes to ultra-high definition games, not all laptops are equipped with features and specs to handle that much of power and deliver good results. Top 5 best gaming laptops are exposed in this article that gamers will love to buy this year. This is where gaming laptops come in the business. These are the laptop machines specifically designed to play high-quality games without any problem. When buying a gaming laptop, there are many features and aspects that you should consider before choosing a specific model. From the processor speed to the number of cores to RAM and internal storage capacity to gaming processor or GPU and battery life, there is much more to consider than you might think. If you want to buy a laptop that defines its price tag with the high-end features and impressive performance, here are some choices to consider. Whether you want to play games on a full HD 4K resolution screen or you just don’t want to charge the laptop more often, Razer Blade is one of the best gaming laptops in the market at this moment. The fact that this is built for playing games in 4K resolution but still you can run it on battery for more than 7 hours is simply wonderful. The speed and performance of this laptop is just amazing and it’s safe to say that these features surely justify the price tag of $1800. It includes Intel core i7 6th generation process with 16GB of RAM and 6GB Nvidia GPU. It has 14 inches full UHD touch screen and backlit keyboard and you can add up to 1TB of SSD hard drive on this laptop. Maybe the only bad thing about this laptop is the loud noise coming from the exhaust fans under full load. If you think you won’t be able to concentrate on your games with loud fan noises of a gaming laptop or just the fact that these loud noises won’t be compatible with office use of such a machine, there is something better for you. With Asus ROG Zephyrus GX501 model, you can get the best of both worlds. This is an ultra-thin laptop that seems like a sleek notebook for office use but it has the potential for a perfect gaming laptop. It’s packed with Intel Core i7 processor, Nvidia GeForce 8GB GPU, 16GB RAM, 512GB SSD Hard drive and 15.6 full HD anti-glare wide angle screen that is just perfect for playing games with ultra high graphics definition. Price of the base model is $2000 and it can go up to $2700 depending on how much RAM and hard drive you put in it. The downside of this laptop is the short battery life that is not ideal to play for a long time without charge and not so good looking but still a very comfortable keyboard. 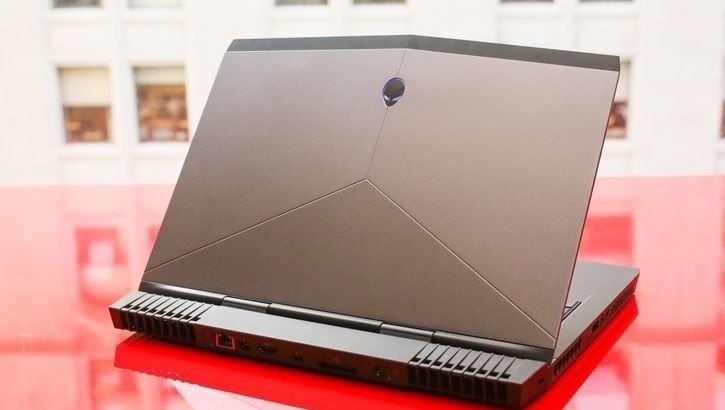 Alienware is a well known and very famous brand of laptops. What’s unique about this brand is that it specifically makes laptops for gaming. That’s the reason that we always see bulky looking and quite heavy laptop machines but with that extra thick exterior body, the cooling system is just amazing. You won’t feel any change in the temperature of the laptop even if you are playing high definition games for hours on this laptop. This laptop is equipped with Intel Core i7 processor, Nvidia 1060 GPU, up to 16GB of RAM and 512GB of SSD hard drive. Additionally, you will get 13.3-inch FHD OLED touchscreen that is capable of providing better picture quality and more frames per second rate. The base model starts from $1660 and it goes up to $2300. What’s quite amazing about gaming laptops is that you have to make some compromises either on the price or on features and it’s very difficult to find a model that can deliver a high level of performance with all the right features without being so expensive. 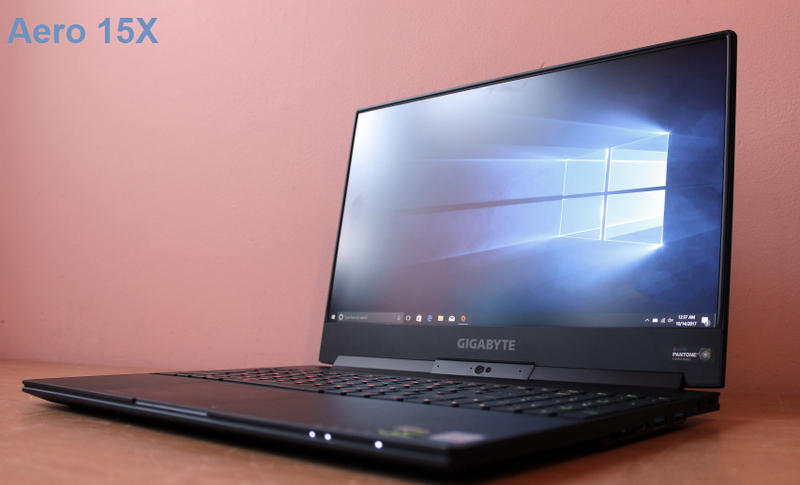 This is where Gigabyte Aero 15X comes reveals itself. Some might think that the price is a little higher compared to other similar models but what you don’t see is the extraordinary level of performance that this machine can deliver. 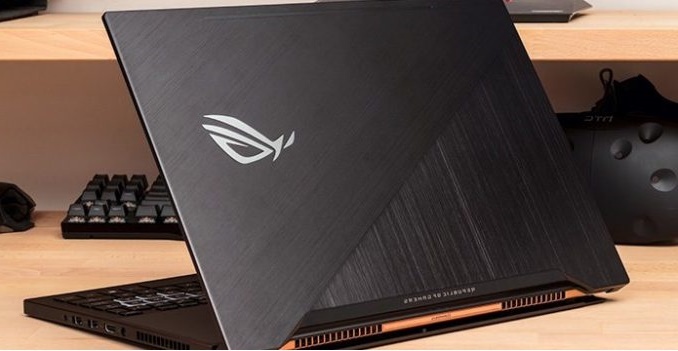 This is probably the one gaming laptop that is equipped with Nvidia GPU 1070 which is by far the latest gaming processor available in the market and it’s still less than 1 inch thick in size. It is amazing to see that this laptop doesn’t get overheated or produces loud fan noises even if you play 4K resolution games on it. What’s different about Dell Inspiron 15 gaming laptop is the price because you can get this perfect gaming machine with the price under $800. A few drawbacks include poor placement and quality of speakers and short battery life but other than that, this is an amazing machine equipped with all the right specs and features to be an affordable gaming computer. It includes i7 Intel core processor, Nvidia GeForce 6GB GPU, up to 16GB RAM and 1TB hard drive and 15.6 inches full HD screen with anti-glare feature and backlit keyboard. If charging your laptop more often is not a problem for you, this is got to be the perfect laptop that will deliver high performance with a low price tag.